The Polycom VVX 301 is an entry-level VoIP phone that features Six lines or speed dials, 2 Ethernet 10/100 ports and a 208 x 104 px backlit grayscale display. The Polycom VVX301 Business Media Phone is easy to deploy and simple to manage. Using an enterprise-grade, Web-based configuration method allows administrators to easily provision and maintain even a large number of phones throughout the entire organisation. The VVX 301 supports the open SIP protocol, which means that you have the freedom to use this excellent IP phone with a broad range of systems. Polycom's Zero Touch Provisioning technology simplifies your deployment, so you spend less time worrying and more time working. The phone has two Ethernet ports and is PoE Class 2 compliant.VVX 301 supports the open SIP protocol. 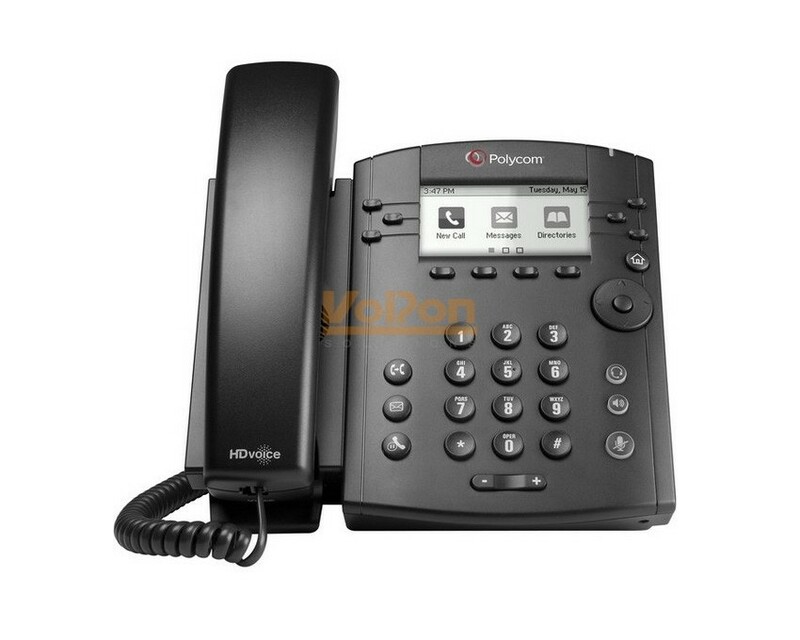 VoIPon - your Polycom VVX 301 Business Media Phone (VVX301)[2200-48300-025] distributor, supplier, reseller! Get all your wifi at VoIPon! If you would like to be notified when the"Polycom VVX 301 Business Media Phone (VVX301)" is re-stocked, please enter your contact details and we will notify you instantly.